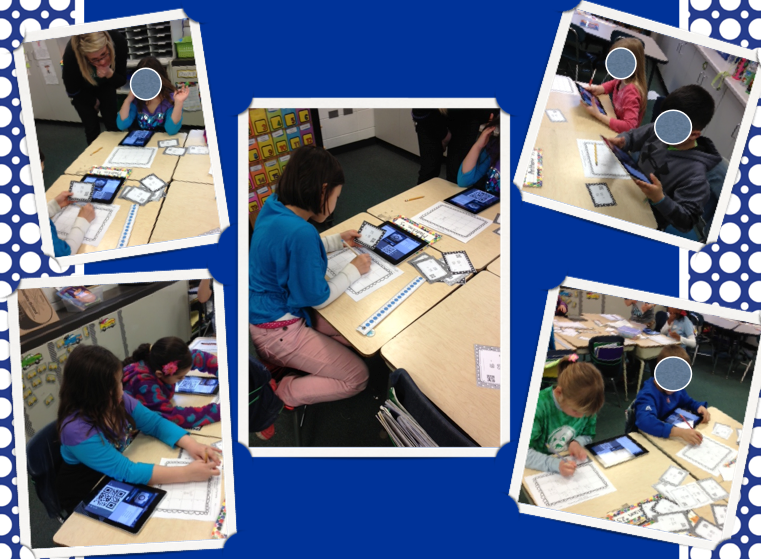 Table Talk with C and C: Addition & Subtraction with QR Codes! 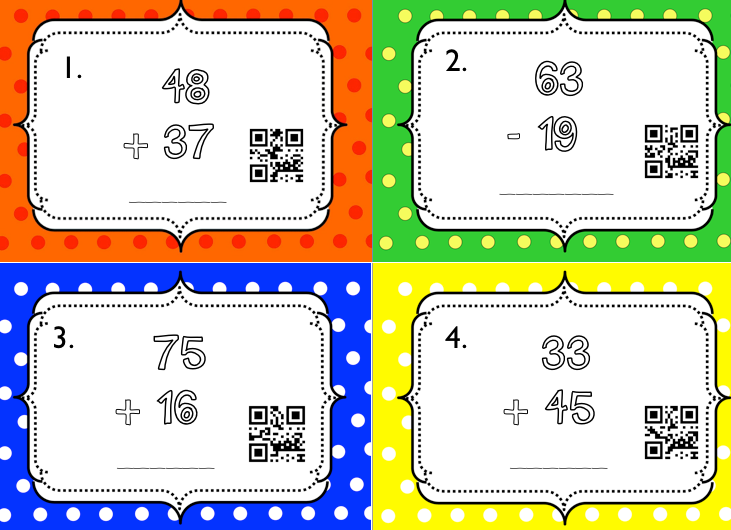 Addition & Subtraction with QR Codes! I am so excited to share my first product using QR codes! I had never even heard of them until yesterday! My dearest friend Amanda, over at Learning to the Core, told me about them and I couldn't wrap my head around the concept of how it works, but once I started doing some of my own research, I was beyond fascinated and couldn't wait to learn more! I learned a little bit about Quick Response Codes through InsideThe Classroom Outside the Box and then I started searching through pinterest, TPT stores, and other teacher blogs such as, I Teach 1:1 blog. Once I started learning more, I couldn't help myself other than to try figuring out how to do it on my own! If, I myself am extremely intrigued by the idea of QR Codes I know my students are going to go nuts for more activities that use them! 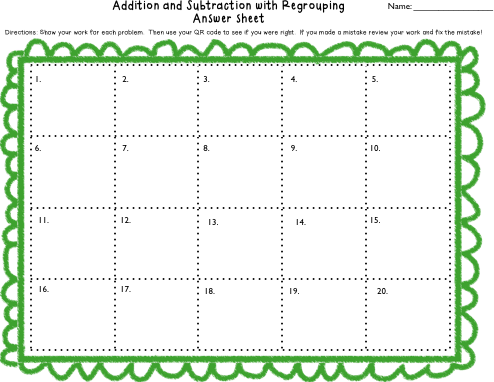 I decided to do my first product with addition and subtraction with regrouping for the QR Codes since that is always something we can continue to work on in 2nd grade! It's important for our little guys to keep practicing all of the steps every once in awhile jusssstttt to make sure they really have the steps down solid! 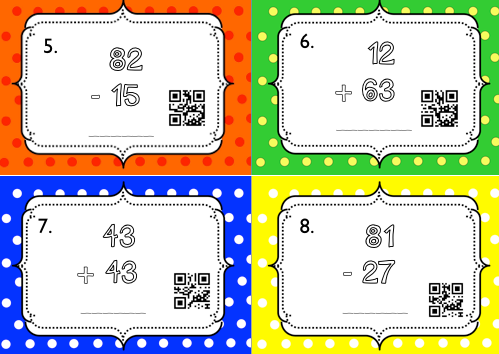 After each student completes a task card problem and showed their work on their answer sheet they will place the task card in front of the computer screen, ipad, or android product while in the "QR Code READER" mode and it will register the "barcode." Students will receive immediate feedback with the correct answer! This concept is so rewarding and helps kids feel empowered by knowing the answer without the teacher having to be right there with them! Check out how engaged the kiddos are!! It's quite amazing how quiet the classroom is and how hard working they are! 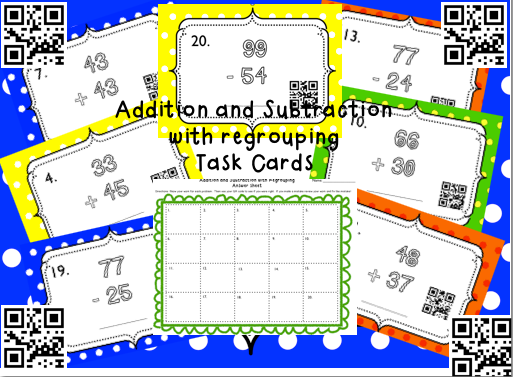 Here's a peak at my Addition & Subtraction Task Cards with QR Codes! Click HERE to purchase your own set! 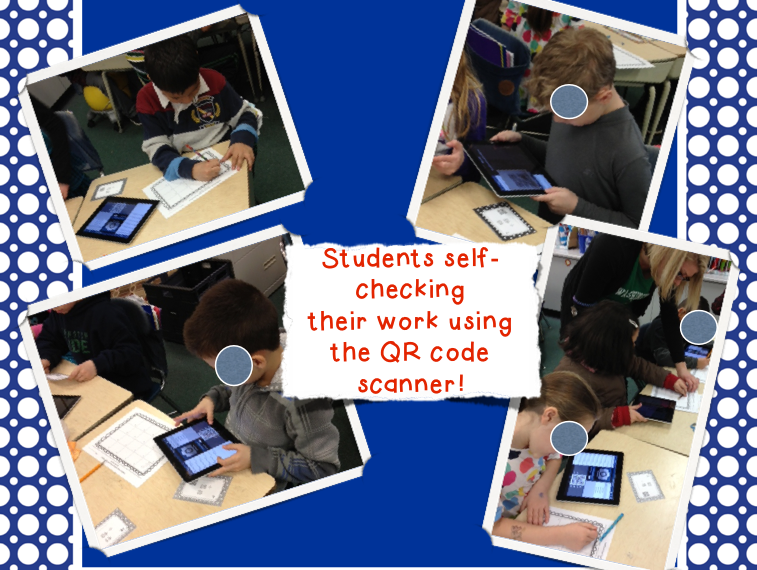 There are 2 things you need to make sure you do in order to use QR codes. First thing you need to do is download a QR CODE GENERATOR and and QR CODE READER. There are many free apps out there that you can download. I downloaded i-nigma reader. It's compatible with both apple products and android products. I also downloaded the QR Bar Code Scanner Reader. They are equally compitable and user friendly. You will only need to use one reader and make sure it is downloaded on your apple or android product to use it. Then, I downloaded the QR CODE GENERATOR by KAYWA and found it to be very user friendly. All you do is type in your response/answer that you want your students to see. It could be a word, sentence, number, problem, link to a website, positive reinforcement, etc..the responses are endless! 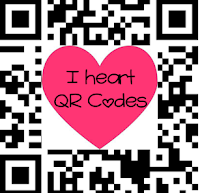 Hope you got to learn a little bit more about how to use QR codes in your classroom.....Share how you have integrated QR codes in your class by joining our "I heart QR Codes Linky Party!"